Most kids enjoy learning about insects and bugs. Every spring (for the last few years) we have observed the life cycle of ladybugs and butterflies. 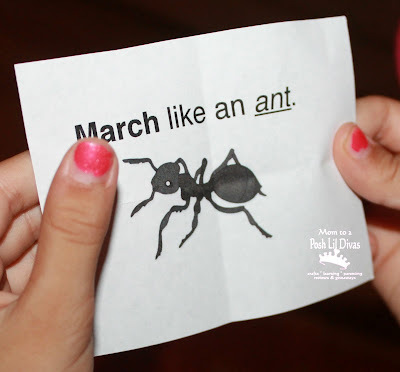 This year we added ants to our insect study and it has been a huge hit with the entire family. They are amazingly busy and I find myself just watching them hard at work. 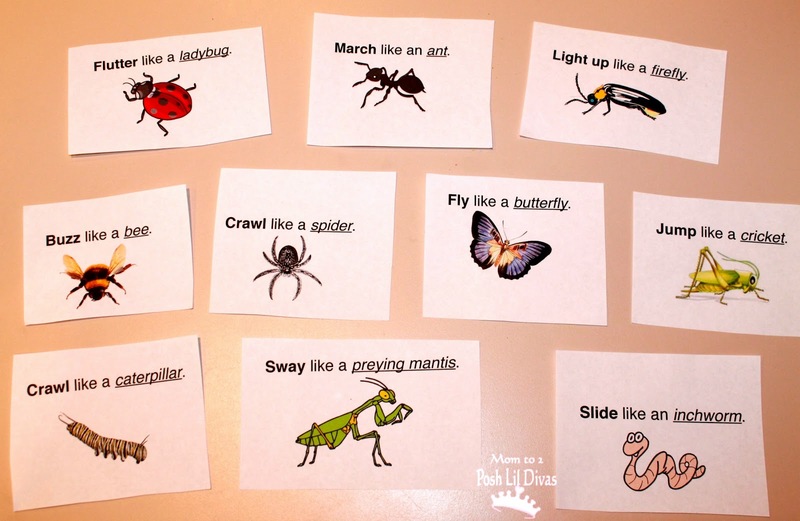 To prep for the activity I just picked 10 insects/bugs and made up some slips of paper using clip art and a sentence for each movement I wanted to include. Here's what I made. It's nothing fancy but it got the job done and that was what I was after. I folded the papers so that the Lil Divas couldn't see what they said until they picked one and opened it to read it (sneaking in a little informal reading here). 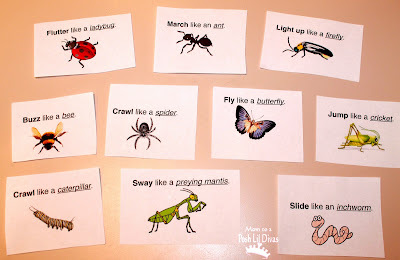 There were lots of giggles as the Lil Divas tried to crawl like caterpillars, march like ants, jump like crickets, slide like inchworms and more (see pic of cards above for all the movements we used). 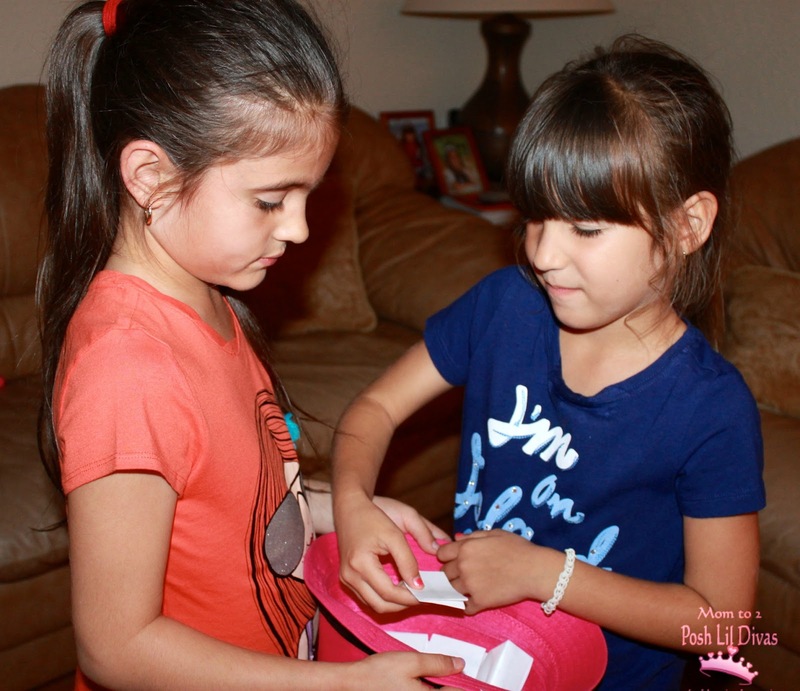 This simple game was a HUGE hit and the Lil Divas have already requested to do it again, which we will be doing after school today. This fun game is the final post in our Learning Through Movement series. Did you see the other two (2) posts in the series? We played Add It Up: A Gross Motor Addition Game and Musical Sight Words. Be sure to check out Train Up a Child and Mess for Less to find out how they played with balloons today. What insects would you include in a game like this? Any fun movements I missed? Much more fun than looking at TV. Your little girls really profit from your creativity. They are having so much fun! I have to plan this in with my activities with the children. This looks like so much fun. Guys, examine this article if you need help to write a strong argumentative thesis statement. 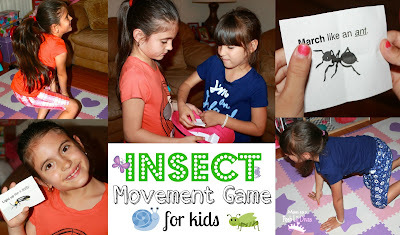 I love the Insect Movement Game.